I have been so excited to share this tutorial with you, primarily because the plan I had in my head actually worked out beautifully (which despite good intentions, is not always the case)! 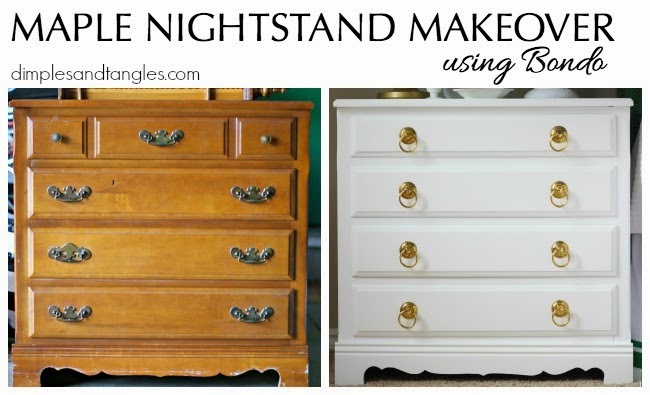 While planning my bedroom makeover, I knew that I wanted a matching set of dresser type nightstands. After keeping an eye on Craigslist for a long time, a pair of these finally came home with me. They were solid wood, well made, the size was perfect and I loved all of the storage, but the style and hardware were definitely dated. 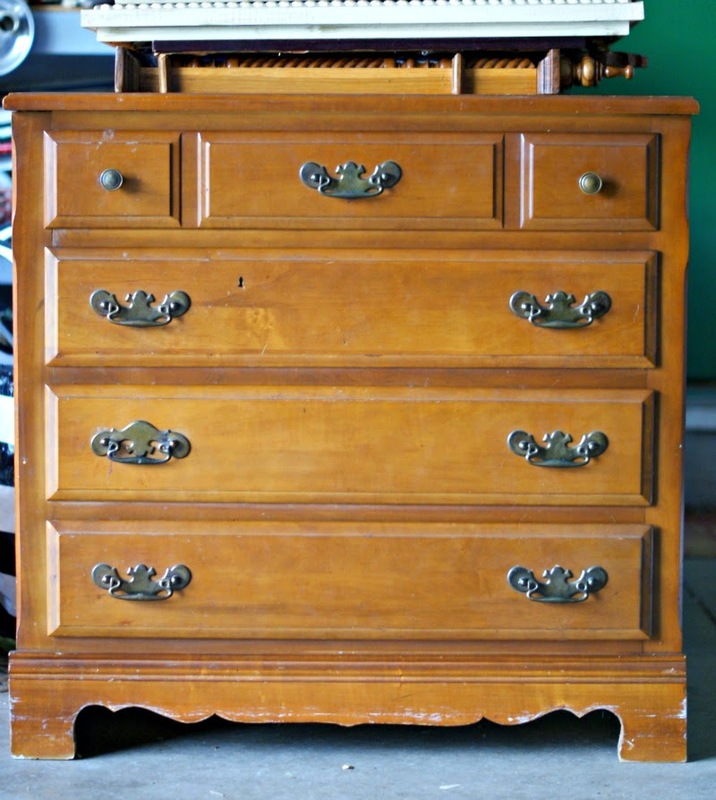 I don't want to hurt any feelings if anyone has a piece like this, but I really don't care for the drawers that are trimmed out into multiple sections to look like smaller drawers, like the top drawers of these were. I think that generally dates the piece right off the bat, even if it's been painted. So, although I knew they would definitely be getting a paint job, I set out to try to do something about that top drawer. I looked into replacing the drawer front, but they are dovetailed and the drawer would need to basically have been re-built. Above my skill level. It seemed as if trying to fill in the grooves was going to be my best option, but I still thought it would be risky because I didn't want any sign that I had "tried" to fix them. After reading this post from the amazing Jenny a long time ago, I filed what I learned away thinking it might be useful for a future project. The thought of trying to fill in the grooves brought that old post to mind, and I decided to give Bondo All-Purpose Putty a try. First, a disclaimer. This stuff has a VERY strong smell. It reminded me of the nail salon when I used to get acrylic nails, times 1,000. Seriously. It would be best to do this outside if it's a project that can be moved out. I made the mistake of applying my first layer in the kitchen late one night, and the next morning the smell was still very prevalent. First, I removed all of the hardware and sanded the grooves to rough up the surface. 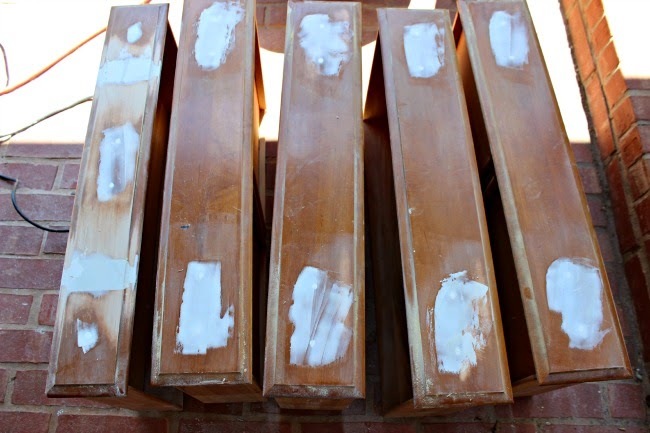 Bondo consists of two parts, the putty and a hardening cream. Following the directions, I mixed a small amount of putty with the appropriate amount of hardening cream together with a plastic putty knife in an old pie tin. This starts hardening within minutes, so truly only mix a small portion at a time. When it starts thickening you can't work with it any more and need to mix a new batch. Using my putty knife, I quickly applied some of the putty mixture to each groove. I tried to work carefully and get it right where I needed it, not overfilling because it doesn't shrink as it dries and any excess will just need to be sanded down. I didn't totally fill each groove on the first layer, I wanted to make sure there was a good base so I only filled it about half way with the first application. It is truly hard-as-a-rock dry in 15-20 minutes, so I added another layer and just slightly overfilled the groove so that I would have a level surface after sanding. I tried to follow the contour of the top and bottom edges that sloped off as much as possible too so excessive sanding wouldn't be needed along the edges. 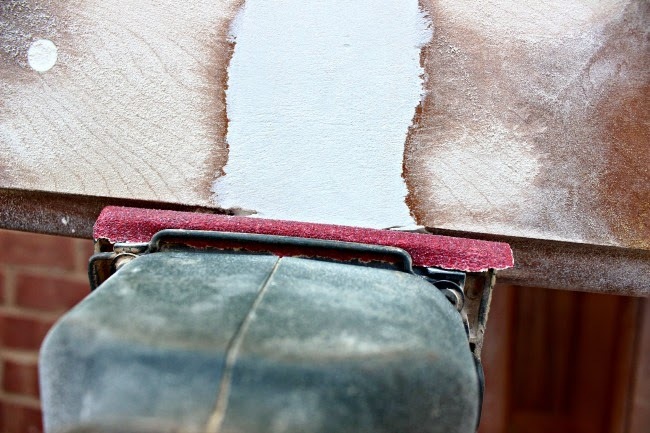 After everything was filled in well, and sufficient time was given for the putty to fully harden up, I started sanding down the flat drawer front with my palm sander. I think the Bondo is actually harder than wood, so it takes a bit of time and effort to sand smooth. 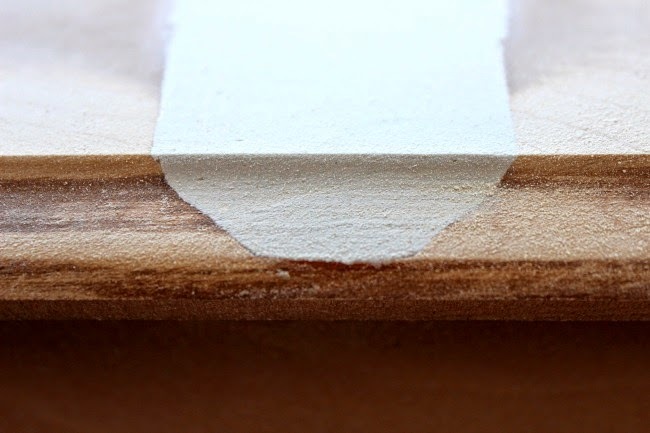 I was careful to keep the sander moving across the Bondo and the wood parts of the drawer so that when the Bondo was sanded down it would be completely level with the wood. After the flat front of the drawer was smooth and level, I used the edge the sander to create a crisp edge and form the contoured edges. A huge key to this project is sanding well so that the edge of the Bondo will be perfectly seamless with where it stops and the wood begins. 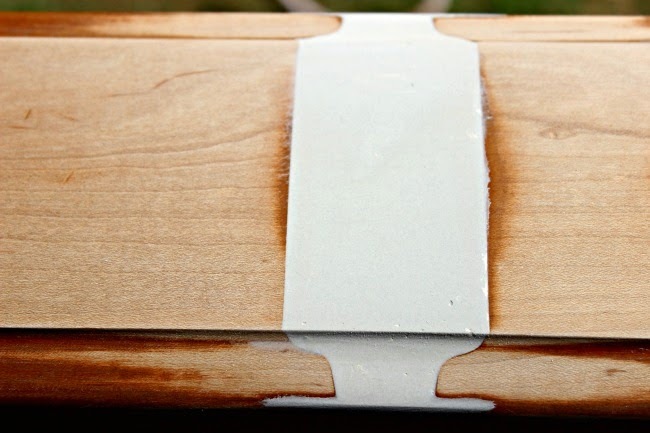 Once painted, you want that transition to be completely undetectable, and if not sanded enough the seams will be visible. When finished with the Bondo, there were still a few tiny holes (like air pockets possibly) that showed up in the surface after sanding. I just used regular wood filler to fill in those spots and once dry sanded it smooth again. 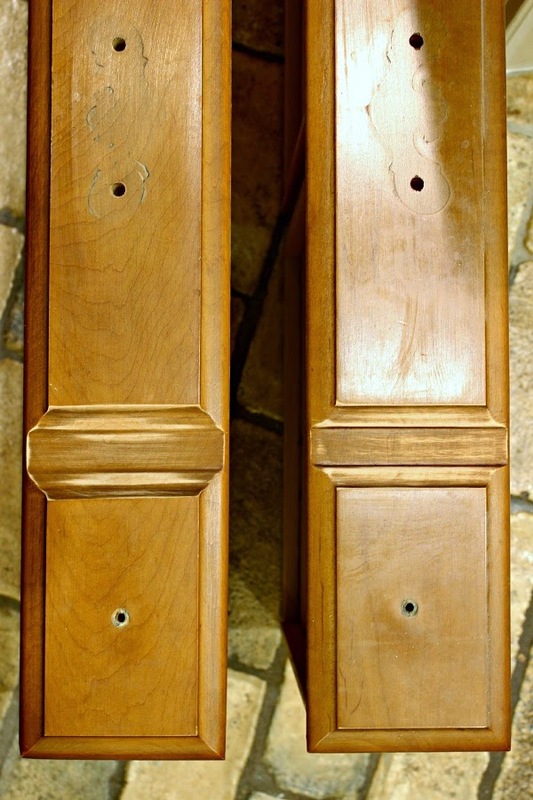 I also used the wood filler to fill in the old hardware holes, and the hardware had been screwed in so tight that it left impressions in the wood when I removed it. So, I skimmed filler over those spots as well, along with a few knicks and scrapes on the base cabinet. All of that got a good sanding when dry as well. After wiping down everything to remove all of the sanding dust (I use regular baby wipes, they work like a charm! ), it was time for paint. I thought about replacing the bottom piece of scalloped trim with a new straight edged one to update it even more, but in the end decided that I liked that detail so I left it alone. I primed everything with 2 light coats Kilz spray primer. However, I did have some trouble with the wood bleeding through in a few spots, so I used some brush on primer in those areas as well. Then, I used my fabulous Home Right Finish Max sprayer to apply a few coats of Behr's Decorator White in satin. 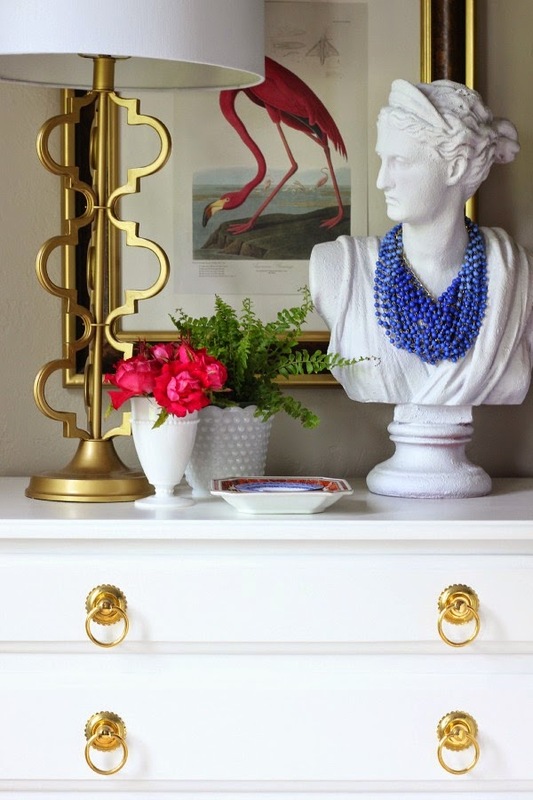 These lovely brass ring pulls from D. Lawless Hardware were the perfect finishing touch. Even though I filled in the original holes, the inside hole ended up being right where I wanted the new pulls to go. I was nervous about drilling through the Bondo, afraid that it might chip or crack, but my husband said it was a breeze and had no trouble at all. I love the classic simplicity with a bit of a twist in the scalloped backplate. D. Lawless Hardware is a small business that has a wide variety of hardware selections, the owner is incredibly nice, and I received my selection super fast. 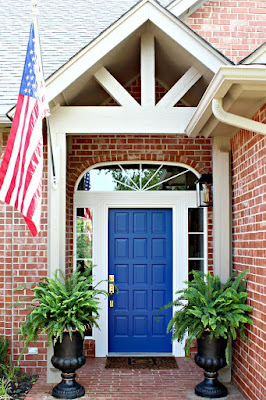 I love this side by side before and after... pretty dramatic transformation! D. Lawless provided the hardware for review for this project, but all words and opinions are mine. This post contains affiliate links. So awesome--this looks flawless! I thought for sure you refaced the top drawer; never would have guessed you just filled it in. Gotta remember the Bondo tip for future projects. Love the hardware, too. It really complements the style of the piece. Fantastic makeover! I never would have known it's the same drawer front! Great idea and a great job! Gorgeous! 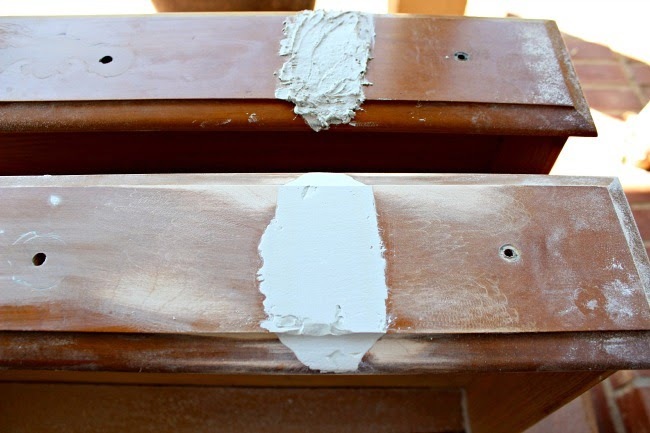 The scalloped pulls add the perfect detail... Great idea with the bondo too, I had no idea that was a single drawer! I love the space; I can't get enough of it! What a great job you did! I would never have thought of using Bondo in a million years. [I did however, use Bondo once when I had a car windshield that leaked every time it rained. Bondo did the trick.] 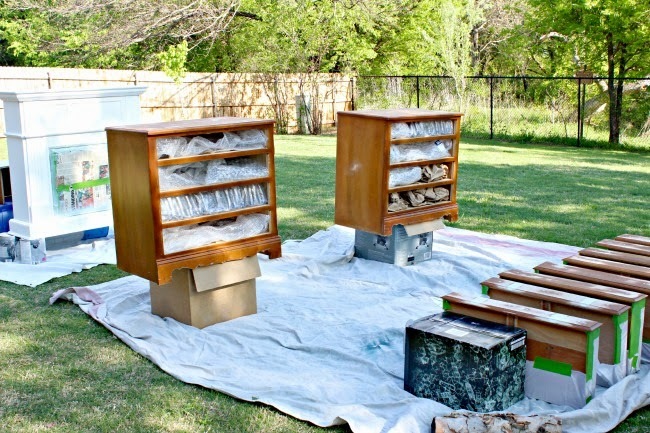 Painting and adding new pulls added immensely to the beauty of your finished nightstands. You have such great ideas. 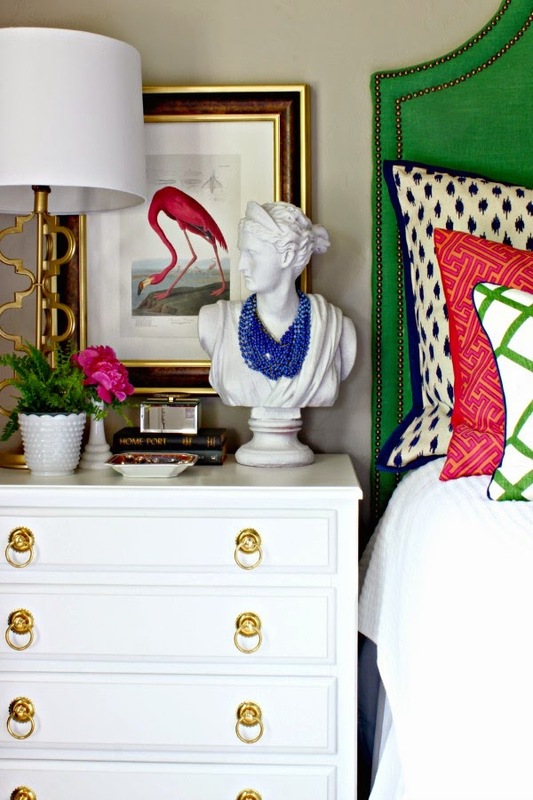 The nightstands look so modern and fresh and I love the pulls. Flawless finish! I can't see any remains of the grooves!!! Love it! 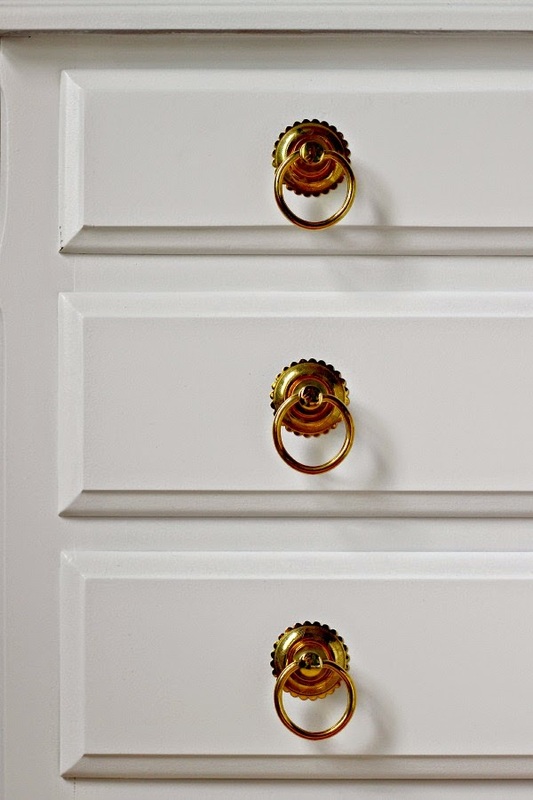 Love the transformation and those drawer pulls leave me swooning. WoW! Great & professional job! I'm really impressed! 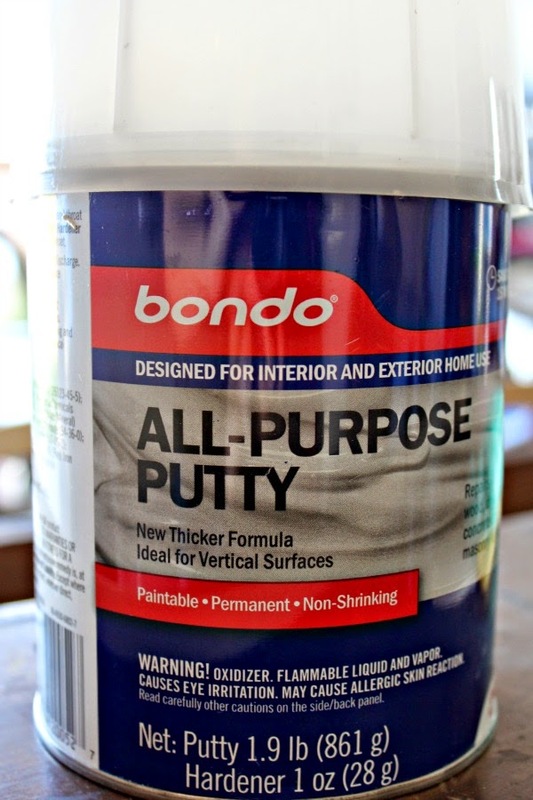 I've never heard of Bondo before - love having this tip to add to my DIY arsenal! Your chest of drawers looks great!! Bondo to the rescue! That was a very resourceful idea, and they turned out beautifully, Jennifer! 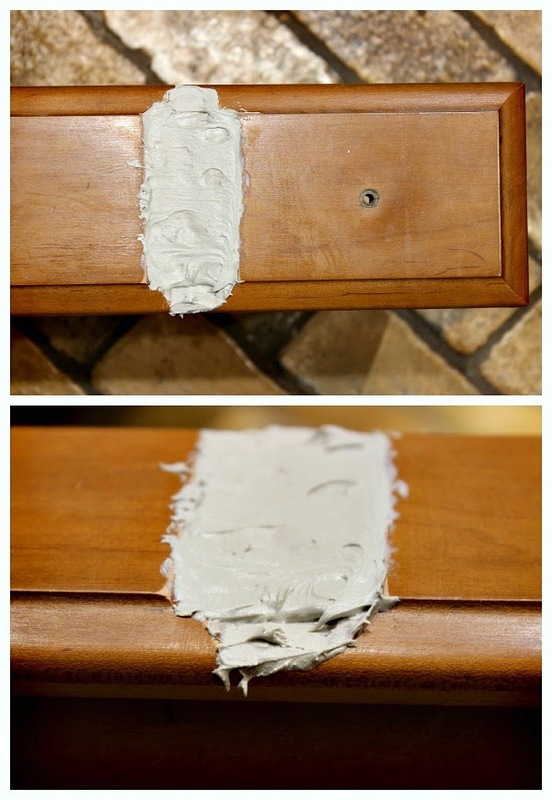 How genius is that to use bondo. I would have never in a million years thought of that. 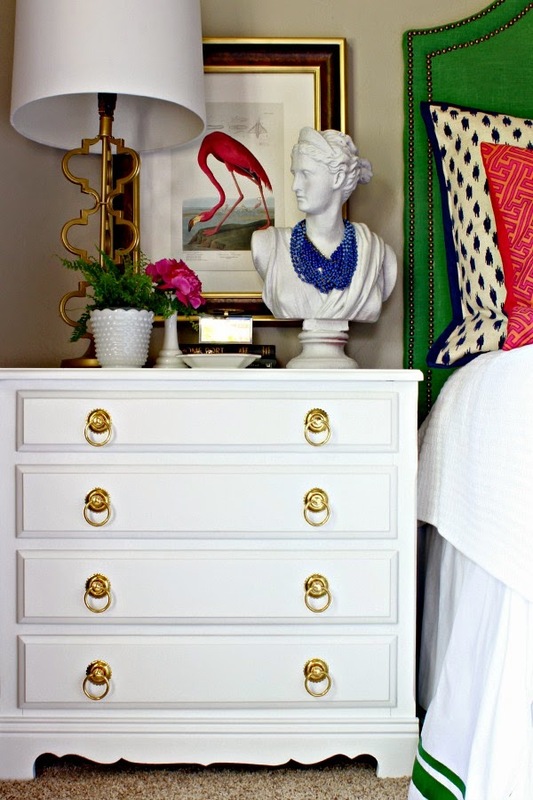 Both of these chest are so perfect as nightstands. Great job. Such a stunning before and after. Changing the drawer detail made all the difference. And of course a clean coat of fresh white always works wonders in my book. That is amazing! I would never have thought to do that, but it makes such a difference! I'm definitely filing this away for later! they look AMAZING! i saw them on instagram, but for some reason your blog's feed just now all came to me so i am catching up. love the white and gold and the hardware! 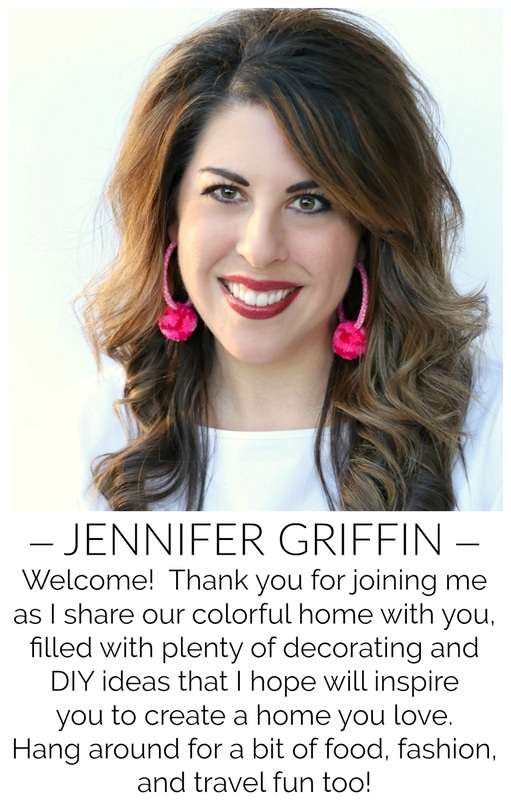 Seriously Jennifer, this is so great and I get so many ideas from reading your blog!